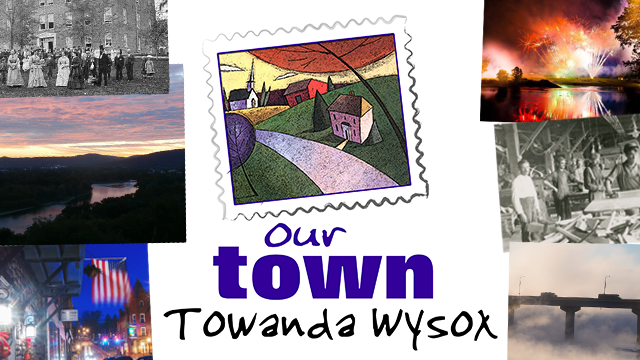 Listen closely in TowandaWysox in Bradford County...you can almost hear the Susquehanna River whisper stories about the opposite shores; stories of Towanda, a Native American burial ground and Wysox serving as a canoe landing and “place of grapes”. Ride the Golden Mile in Wysox and pass Camptown, where composer Stephen Foster immortalized a buggy race—five miles long. View the breath-taking panorama where Marie Antoinette hoped to find a safe haven. Stroll along historic streets of Towanda and marvel the architecture of the town; take in a show at the time-honored Keystone Theatre or enjoy something hearty and homemade at the legendary Red Rose Diner on Main Street--surrounded by the splendor of the Endless Mountains. Experience the inspiring “unity of two communities” that the residents of TowandaWysox are proud to call their home.